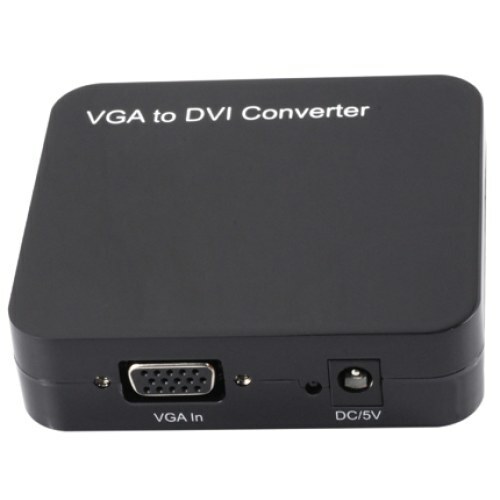 This kind of Converter is a VGA video converter. It converts VGA input into DVI and allows PC users to enjoy a larger image on TV. It offers solutions for digital entertainment center, HDTV retail and show sites, HDTV, STB, DVD and Projector factories, noise space and security concerns, data center control, information distribution, conference room presentation, school and corporate training environments. Conversion: It could convert PC’s VGA video into complete DVI. Support highest video resolution 1280x1024.